Is there a planet ten times the mass of Earth hanging out in the dismal and distant fringes of our solar system? It could be the first new planet discovered in the last 170 years — or at least the last 85, if you’re one of those stubborn folk who still insist on calling Pluto a planet. Two researchers at Caltech, Mike Brown and Konstantin Batygin, have reported phenomena that they interpret as smoking gun evidence for a world roughly 500 times farther from the Sun than our own. The evidence consists of a strange alignment of some so-called Kuiper Belt objects – ice-ball worlds similar to Pluto that populate the farthest realms of the solar system. About a dozen of these KBO’s seem to have orbits that are similarly aligned – an unlikely situation, akin to throwing a handful of pencils onto a table and finding that they pretty much all point in the same direction. What could account for this bizarre orientation? On the basis of computer simulations, the Caltech astronomers conclude that the most likely explanation is that the KBOs are being nudged into these orbits by the gravitational interactions with a planet roughly twice the diameter of Earth. This object would be located on the side of the solar system opposite to the lined-up Kuiper Belt objects. No one has actually seen this putative planet with a telescope, but you can bet that many are looking. It will take a large instrument to bring the object into view, as sunlight so far out in the solar system would be 300 thousand times weaker than on Earth. In addition, the exact position of this hefty planet is unknown – so the search has to cover a relatively large amount of sky. It’s a bit like finding a floating volleyball in the ocean from 40,000 feet, when you don’t have a good fix on the volleyball’s location. Still, Batygin estimates that the planet might be discovered within eight years or so. And what is the significance of “Planet 9,” as it’s being called? For those who look for biology beyond Earth, such a world would make our solar system more in keeping with those we find around other stars. Many of the so-called exoplanets discovered by the Kepler mission and other telescopes are what are called “Super Earths” – worlds that are up to ten times the mass of our home planet. Until now, we didn’t think that our solar system had a Super Earth. For those in the know about science history, this is all reminiscent of work done by two mathematically adept young astronomers in 1845 — one French and the other British. Each had independently reckoned that irregularities in the orbit of Uranus might be caused by a planet still farther from the Sun. It took almost a year before that planet was seen and recognized in a telescope. We call it Neptune. It’s fair to say that Neptune was discovered with pencil and paper, and it now seems that history might repeat itself with Planet 9. Some folks, seduced by apocalyptic visions, will say that this work supports claims that have been made for decades that a malevolent planet named Nibiru is prowling the solar system and will (soon) sail by Earth, causing tsunamis, earthquakes, and scenes of destruction hitherto envisioned only by Industrial Light and Magic. Well, forget that. Planet 9, if it’s really out there, will never come closer to Earth than about 20 billion miles, a distance 40 times farther than Jupiter. And, as you may readily note, Jupiter — although heavier and closer — is not messing with your gusto-grabbing lifestyle. Then there’s this: Planet 9 is far enough away that if you landed a telescope on it, you could use the Sun as a gravitational lens, producing the mother of all telescopes. It would be an instrument whose capabilities would dwarf anything on Earth or in orbit. Sure, no one’s about to rocket telescope hardware to Planet 9 anytime soon, but that’s not the same as never. And finally, for those who look for biology beyond Earth, Planet 9 would offer some encouraging news. In the past five years, we’ve found thousands of so-called exoplanets — worlds around other stars. Many of these are “Super Earths” — worlds larger than our own, and up to about ten times more massive. Until now, we didn’t think our solar system had a Super Earth. That made it seem special. But if the predictions are correct – if Planet 9 actually exists – then our solar system will better comport with many of those we find elsewhere. And if our solar system is not so special, then there’s added reason to suspect that the biology it has spawned may not be so unusual either. See the full internet article here . See the full email article here . Tags: Applied Research & Technology ( 5,450 ), Basic Research ( 10,441 ), Huffington Post ( 30 ), Seth Shostak, We live in interesting times. 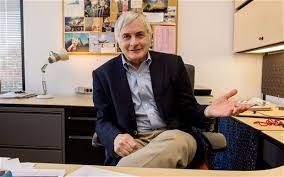 For over 15 years now, Seth Shostak has overseen the search for alien life from the SETI Institute’s Mountain View headquarters. Shostak, who was recently awarded the Carl Sagan Prize for Science Popularization, sees his work as scientifically critical and culturally paramount. 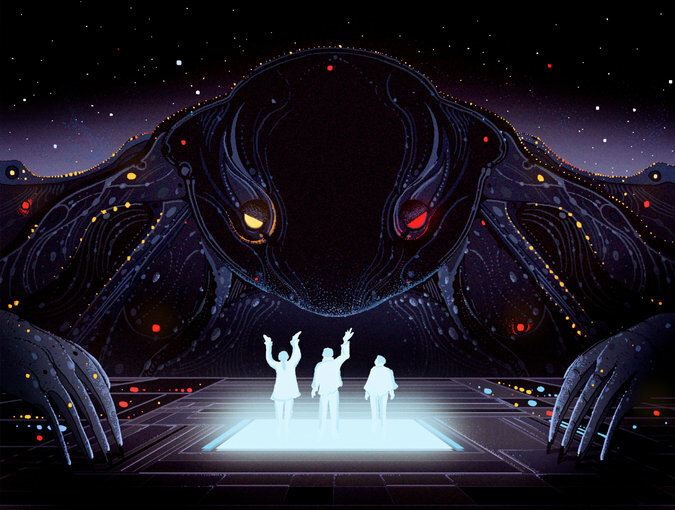 The search for extraterrestrial intelligence has traditionally helped build and contextualize excitement for other space sciences. In a sense, Shostak’s job is to survey the stars. In another sense, his job is to help people understand the potential upside of that activity: the ultimate discovery. Inverse spoke with Shostak about the award, the evolution of SETI research, Carl Sagan’s legacy, and why the prospect of finding alien life is more exciting and realistic than ever before. What are some of the big challenges you run into when talking to the public about astronomy and SETI? Who do you find yourself talking to? Normally I give 50 to 60 talks a year, so that’s like once a week or something like that. I’m also a lecturer on things like tours and cruises, where you reach a lot of the general public. I normally talk about science, sometimes about history. More particularly, astronomy and SETI. Who shows up? It’s not the people who don’t find it interesting. It’s not the people who don’t believe it might be true. It’s the people who do find it interesting and do think it might be true. The only hurdle is to make sure you present it in a way that keeps your eyeballs open. Where you do hit a hurdle is when you do have to give a talk to a non-self selected audience because then they may or may not be interested but they’re forced to be there. The local rotary club, for example… That also applies to schools. I usually accept any of those invitations, as long as I don’t have to go very far, because I think talking to kids is a different business than talking to adults. You talk to an adult, they like it or not, but a couple hours later they’re back to where they were. But with kids that’s not true. Describe the evolution in SETI research over the last few years. It seems your work is being taken much more seriously by the public, which might have been skeptical before. Why would you guess that is? I think that you’ve probably hit on it. The public interest is interested in aliens for the same reasons the public is interested in dinosaurs. You’re probably hardwired to be interested in both those things. If you don’t have interest in that, if you don’t care about the things with big teeth that live near your cave, you might not care to stay and live in the same gene pool. For aliens, it’s similar: If there’s another tribe on the other side of the hill, it pays to know about those guys because they might be competitors, they might be mates. I think the intrinsic interest is there. I think there may be truth to SETI being taken more seriously by the public and it may be a consequence of the discovery of exoplanets filtering down to the public. When it comes to 2015, what were the biggest accomplishments made in SETI research? Well in the past year obviously there was a breakthrough initiative from the Listen initiative. That’s not going to affect us at the SETI Institute unfortunately, because that $100 million all goes to the Berkeley SETI Research Center. So the big discussion around here is about where are we going to get our funding? That’s a perpetual problem ever since federal funding was cancelled in 1993. Ever since then it’s been running on donations. It’s not a very expensive thing, but on the other hand it’s hard to raise so many donations. So that’s a perennial problem. In terms of the science, we now know three or four other planets that might be potentially habitable. They look like they might have the conditions necessary for life. You could say that’s a big step forward. It is, but not because you can aim your antennae at these planets, which we could always do. With increased potential for habitability, there’s a bigger chance something alive exists there. You could have aimed your telescope to Europa for most of its four and a half billion years of existence and not picked up a thing. It turns out the percentage of worlds that could sustain biology is reasonably high. In fact that’s the picture that has come into focus in the last year. There’s some papers that estimate the frequency of habitable planets, planets that could be somewhat similar to Earth. If you look at 10 stars on average, maybe one of them has a planet sort of like Earth. That planet number is definitely uncertain, but it’s a substantial fraction. One, five, 10, 20 percent of all stars are likely to have a planet that you can build condos on and I think that’s an encouraging thing for studying. When I started we didn’t know if there were any planets out there, let alone any that were good. What do you think the future holds for SETI? What are you hoping to see in the next year? Well, obviously, the first thing I’m going to say is I’m hoping we get some money here so that we can continue. SETI’s always on the edge of coming apart for a lack of money. It’s a very iffy thing because you can’t guarantee success, but what you can guarantee is that if you do have success it’ll be one of the biggest stories ever. It’s one of those dark horses in the science race — you just need people to bet on it. So monetary priority is number 1. We also built new receivers for the Allen Telescope, which is what we use in our experiments and we can use that everyday. That gives us the opportunity to do experiments where we take a certain class of stars which we think might be better for having habitable worlds and look at tens of thousands of them. Nobody’s been able to do that in the past! No one’s been able to look at tens of thousands of targets in a reasonable amount of time. How many of them have technological biology? That’s going to be a considerably lower fraction. There are a trillion planets in the Milky Way and it strains my credulity to think they’re all sterile. I don’t buy into that. We really won the lottery and I never win the lottery! I think the big thing is to be pertinent in not only receivers but also the number of channels a receiver can monitor. It’s thousands now, but then it’ll be tens of millions and then hundreds of millions. That means that the experiment keeps speeding up. That’s just technology and that’s what gives me hope that in the near future we’ll be able to look at near star systems and pick up a signal. This star, slightly brighter than the Sun and more than 1400 light-years away, has been the subject of scrutiny by NASA’s Kepler space telescope. It has shown some surprising behavior that’s odd even by the generous standards of cosmic phenomena. KIC 8462852 occasionally dims by as much as 20 percent, suggesting that there is some material in orbit around this star that blocks its light. To investigate this idea, we have been using the Allen Telescope Array [ATA] to search for non-natural radio signals from the direction of KIC 8462852. This effort is looking for both narrow-band signals (similar to traditional SETI experiments) as well as somewhat broader transmissions that might be produced, for example, by powerful spacecraft. This week’s communique is about both, and neither. But there’s no gainsaying the fact that it’s exciting. It concerns the seasonally changing features on crater walls and other vertical topography, known as recurrent slope lineae. An image combining orbital imagery with 3-D modeling shows flows that appear in spring and summer on a slope inside Mars’ Newton crater. Sequences of observations recording the seasonal changes at this site and a few others with similar flows might be evidence of salty liquid water active on Mars today. Evidence for that possible interpretation is presented in a report by McEwen et al. in the Aug. 5, 2011, edition of Science. This image has been reprojected to show a view of a slope as it would be seen from a helicopter inside the crater, with a synthetic Mars-like sky. The source observation was made May 30, 2011, by the High Resolution Imaging Science Experiment (HiRISE) camera on NASA’s Mars Reconnaissance Orbiter. Color has been enhanced. The season was summer at the location, 41.6 degrees south latitude, 202.3 degrees east longitude. The flow features are narrow (one-half to five yards or meters wide), relatively dark markings on steep (25 to 40 degree) slopes at several southern hemisphere locations. Repeat imaging by HiRISE shows the features appear and incrementally grow during warm seasons and fade in cold seasons. HiRISE is operated by the University of Arizona, Tucson, and the instrument was built by Ball Aerospace & Technologies Corp., Boulder, Colo. NASA’s Jet Propulsion Laboratory, a division of the California Institute of Technology in Pasadena, manages the Mars Reconnaissance Orbiter for NASA’s Science Mission Directorate, Washington. Lockheed Martin Space Systems, Denver, built the spacecraft. These things look like long, dark fingers running downhill, and they become prominent when summertime Mars warms up to temperatures that, while cold for Earth, are considered balmy on the Red Planet. The lineae resemble seepage – melt water just below the dry, martian surface that’s oozing its way downhill. Now, researchers using spectral analysis from an orbiter have determined that it most likely is water – not any of the other possible phenomena. That’s a strong indicator that there are subsurface reservoirs at very shallow depth on Mars. In other words, Mars apparently has lakes today; they’re just covered by a rusty, dusty carapace of boring dirt. Now many astrobiologists think that the Red Planet was once a kinder, gentler world. Three or four billion years ago or thereabouts, Mars may have had occasional rivers, lakes and even oceans on its surface. The canyons and lakebeds are all dry as dandruff today, but given the ubiquity of the lineae, subsurface aquifers could still be present in abundance. And so the scenario is as obvious as it is compelling: In its youth, Mars may have actually spawned single-celled life. As conditions slowly deteriorated, this life adapted to whatever environments were still around – including within the pitch-dark, subsurface aquifers. It could still be enjoying a cryptic lifestyle today. Knowing this, how might we find these microscopic Martians? 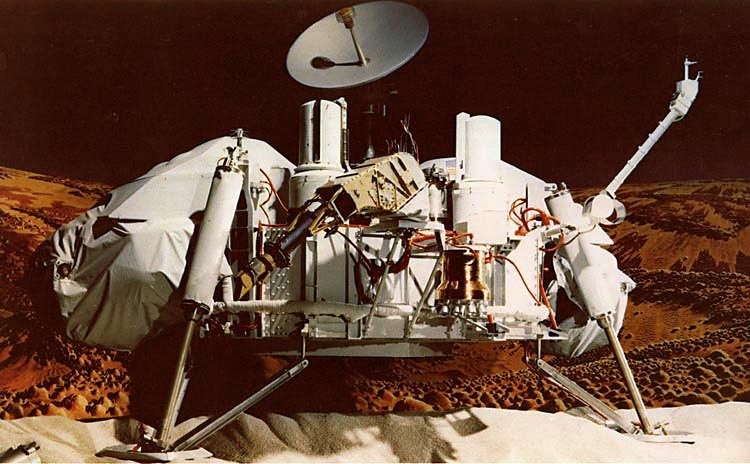 NASA tried looking for life on the Red Planet in the 1970s with its highly sophisticated Viking landers. But the experiments had limited sensitivity, and the results – at least according to some – were ambiguous. The lesson learned? Hunting for extant life is difficult. After all, you have to look in the right place. And of course there’s also the sobering possibility that biology is entirely past tense on the Red Planet. It’s dead, Jim. Consequently, for years the space agency has adopted a more promising tactic. Better, it figures, to first learn more about the history of the Red Planet, and pinpoint places where life could have once existed. After all, in any reasonable scenario involving Martians, there’s got to be a lot more dead life than extant life. Living critters don’t pile up, but dead ones do. That’s why the Curiosity rover, now making its way up Mount Sharp at the center of Gale Crater, is hoping to unravel the geologic history of Mars – not to look for life itself. Its job is to see if there are places where biology may have once existed. And while future spacecraft will undoubtedly try to do that, there’s a chance for more immediate action. Jim Green, NASA’s Planetary Science Division Director, told me that there could be some of these lineae on Mount Sharp, and possibly accessible to Curiosity. That’s a seductive, and unexpected diversion for the plucky rover. Today’s news suggests that underwater aquifers – refuges where microscopic Martians might wiggle and float – may underlie much of the planet, like a layer of subcutaneous fat. This may greatly increase the incentive to switch our efforts on Mars from looking for habitats where life might have once thrived, to exploring habitats where it might be thriving today. 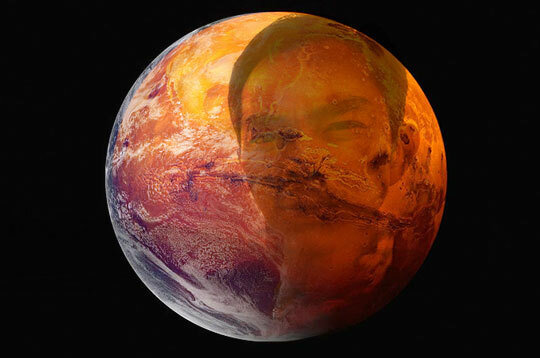 Just drill down a very short distance into the wet and muddy basement of the dry martian landscape, and look for life. Instead of counting on biology from 3 billion years ago that’s well-and-truly dead, this news about the true nature of the perplexing martian lineae urges us to discover what centuries of peering at the Red Planet with telescopes and orbiters was never able to do: Find the Martians. What is it about astronomy that captivates you? I find astronomy captivating, not only because it deals with huge and imposing celestial objects that have existed for billions of years, but it also answers big questions, questions that everybody, no matter where they live, might ask. Where did the Universe come from? Where is it going? What’s out there? For this reason, it’s a privilege to work in this field. As the only organisation addressing the full range of disciplines investigating life in the Universe, what is the Search for Extraterrestrial Intelligence (SETI) Institute’s mission? The Institute’s mission is to research life in the cosmos; it’s that simple. We’re not only looking for intelligent life forms – which is the purpose of the SETI experiments – we’re also looking for the existence of microbes closer to Earth, for example, on Mars or on some of the moons surrounding Saturn or Jupiter. There are more than half a dozen locations in our own solar system where life could exist, or where it could have once existed, with Mars being one of the favourites. Our work also involves investigating how life started on Earth, because this could give us some indication of how it might have started elsewhere, as well as finding exoplanets – planets orbiting other stars – that are possible habitats for life. When I joined the SETI Institute in 1991, the majority of its efforts were focused on radio SETI, which was by far its biggest project. However, today, 95 per cent of our scientists are working on what’s called astrobiology, looking for evidence of life on Mars, Jupiter, Saturn’s moons, etc. The Institute’s emphasis has greatly shifted. Could you share examples of R&D projects that are currently underway at the SETI Institute? In the astrobiology realm, there are around a dozen researchers studying the history of Mars. They are seeking to answer questions such as whatthe planet may have looked like 4 billion years ago and whether there was water on it. Today, Mars is cold and extremely dry – a terrible place for supporting life – but it wasn’t always so. The question is whether it could have supported life at one point. It’s certainly possible that we’ll find microbes there, so there is a lot of hardware roaming around the surface of Mars and orbiting the planet in an attempt to find out more about its history. Other researchers here are studying asteroids and meteors to find out whether they brought ingredients for life to Earth. If this is the case, it’s possible the same has happened to other planets. Similarly, a group is researching Jupiter and Saturn’s moons for water, and consequently life. We also have a team working on the New Horizons mission, which has just flown by Pluto. In fact, one of our senior research scientists, Dr Mark Showalter, found two of Pluto’s moons. Another important project for our astrobiologists is the search for exoplanets. We’re heavily involved with NASA’s Kepler Mission and that particular effort has found over 4,000 planets orbiting stars, some of which appear to be similar to Earth. We are also planning a large survey of dim stars, which are smaller than the Sun, because these might have habitable planets orbiting them. Finally, we’re making improvements to our equipment; for example, building new radio receivers. 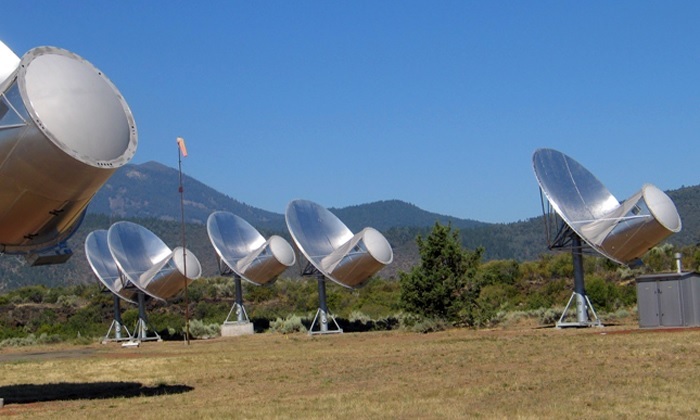 As part of a new trend in radio astronomy, the Allen Telescope Array (ATA) uses a large number of small dishes (LNSD) array to simultaneously survey numerous SETI targets. How does the ATA work and what are the key advantages of this approach? The ATA uses 42 relatively small antennas, which are 20 feet in diameter. This differs from past approaches in that radio telescopes built in the 1960s and 1970s used the largest possible antennas. While bigger antennas are able to receive more cosmic static and fainter signals, they are far more expensive to build. Thanks to advances in electronics, however, it’s now possible to connect a lot of small antennas together to achieve the same performance as one big antenna, only for a lot less money. Not only that, but small antennas can scan large swathes of the sky much more quickly than large antennas. Can you summarise the Institute’s most significant achievements to date? Our planetary discoveries have certainly made the headlines. For example, the planet Kepler 452b is 1,400 light-years away and orbits a star that is just like the Sun. This planet could be Earth’s cousin in that it’s a little bit bigger than Earth and its year is 385 days long rather than 365 days. Another planet, which is similar in size to Jupiter, was found by one of our astronomers around a nearby star. This planet was found using a ground-based telescope, which isn’t usually possible. Another significant achievement is the New Horizons mission. It took New Horizons almost ten years to arrive at Pluto, and the team working on this project didn’t know whether the spacecraft would actually make it or if there would be any data to collect at the end of its journey. It has been wonderfully successful, however, and we’ll be continuing to receive data for the next year and a half. In terms of the ATA, we haven’t found a signal yet, but the speed of our search is continually increasing. I have bet everyone a Starbucks coffee that we’ll find ET within 20 years. I may have to buy a lot of coffee, but there’s hope! What are the greatest challenges facing signal detection technology and how can the Center help to overcome these issues? One of the biggest challenges we face is funding because this directly affects what we can achieve and the types of equipment we can develop. The astrobiologists benefit from NASA funding but all of the Institute’s SETI experiments are privately funded. There are a number of approaches we could adopt to speed up our research; for example, the technology developed for video games uses specialised hardware that can complete computational tasks very quickly. The technical challenges associated with doing this could certainly be solved. When I bet people a cup of Starbucks coffee that we’re going to find ET, this assumes that we can develop the equipment necessary to greatly speed up our work – and this is possible if we have the funds. What more can be done to attract support from funding bodies and further engage the public? We get a lot of media attention and the public is interested in what we do. Indeed, we even have the attention of the House Committee on Science, Space & Technology in congress, where I testified about a year ago. I would say the public is aware of what we’re doing but what they don’t know is that we can’t do very much because of funding issues. Communicating that message would enable us to have a decent chance of success; if we can build the right equipment we might be able to find ET. Can you reveal what the future holds for the Institute? I’m very optimistic about the future because this really is a special time in history. We know so much more about astronomy and the planets orbiting other stars than we did when I was a kid, or even twenty-odd years ago. Now we know what’s out there, we have the ability to build equipment that could, in principle, find proof of life, whether in our solar system or somewhere else in space. This is the first time we can say this. I think the public recognises this at some level. Some people will have read about planets orbiting other stars or water on Mars, and it may occur to them that this could be the generation that finds extraterrestrial life. It’s rather like being alive at the end of the 15th Century when people were finally able to build wooden ships that could cross the ocean, and that rapidly changed the world as they knew it. Could your favorite Earthling also be your favorite Martian? Allow me to respond: The answer is “yes.” It’s possible that billions of years ago, tiny bits of biology quit the Red Planet and infected ours. If so, your family tree — and that of every other terrestrial life form — has its deepest roots not in the ancient oceans of Earth, but in the vanished seas of Mars. The mechanism by which biology can spread through space without the benefit of expensive space-agency hardware is known as panspermia. Life hitches a ride on sunlight or inside rocks — not rockets. This is more than a curiosity. It has important implications for the search for life in the solar system — a search that’s heating up. Panspermia is hardly a new idea: the philosopher Anaxagoras was the first to publish on the subject more than two millennia ago. But its current vogue can be traced to thought experiments by the Swedish chemist Svante Arrhenius at the beginning of the twentieth century. He figured microorganisms, which can be tougher than old boots, might be pushed from one world to the next by the radiation pressure of stars. That idea might work if the emigres are tiny and don’t insist on going far. But a much better bet is to be a protoplasmic pilgrim inside a dirt clod kicked into space by a meteor impact. Sometimes called “lithopanspermia” for reasons that are obvious if you studied Greek, this mode of transport has the benefit of a protective environment. That’s a necessity if your travel time is really long – hundreds of thousands or millions of years. After all, space is hardly benign: cosmic rays, extreme temperatures, and prolonged desiccation will relentlessly corrode any biology that takes too much time en route. Being inside a rock helps. But is this Johnny Appleseed mechanism for spreading life between worlds likely to be for real? To answer that, you first need to ask whether enough rocks are actually kicked off a planet to ensure that at least a few will accidentally land on another world. And second, would any of their microscopic passengers survive the trip? Consider the panspermia prospects between Mars and Earth. Scientists estimate that in the early days of the solar system, billions of rocks between an inch and a yard in size were involuntarily shuttled from the Red Planet to ours. Their travel time might have been as short as a year, but most would have taken much longer, more like a million years. A rock can wander around the inner solar system for quite a while before actually hitting anything. So could any biology within these space-borne lumps survive such an extended trip? After all, the conditions on board are worse than RyanAir. The rocks and their passengers would have been bombarded by radiation, cut off from water, and subjected to temperature extremes as bad as the moon. But it turns out that some hardy earthly microbes could survive these steerage-class conditions. Astrobiologists have identified terrestrial bacteria able to zone out in spore form for a million years. If you eventually put them in contact with water, they’ll come back to life like sea monkeys. It seems that panspermia was possible between Mars and Earth roughly four billion years ago, assuming there was any life on the Red Planet to make the trip. And perhaps there was. In its youth, Mars was wetter and warmer than now, and could have spawned living things at a time when Earth was as lifeless as an octogenarian slumber party. Because so many martian rocks were kicked into space, it’s highly probable that at least some would have come from an inhabited patch of Mars — assuming it had inhabitants. And some of those would have landed in a suitably welcoming patch of Earth. In this way, our planet may have garnered its biota — not as the result of any processes here on Earth, but thanks to a rain of rocks from Mars. If sometime in the next few decades we discover the remnants of ancient life on the Red Planet that are based on DNA, then we’ll have good reason to believe that terrestrial biology is an import. We could say that not only men are from Mars; we all are. The possibility that Earth’s carpet of life might not be indigenous may sway our priorities in the search for life in the solar system. Should we continue to place our heavy bets on Mars, or would it be better to explore the moons of Jupiter and Saturn? Biology would be far more isolated on these latter worlds, and unlikely to be related to us. They would be true aliens — perhaps the most interesting sort of life to find. As intriguing as it is, panspermia doesn’t offer any clues about life’s origins. Indeed, it only seems to push the problem of biology’s beginnings to another planet. But there’s this: If life can spread, then countless worlds could be encrusted with biology even if generating it in the first place is difficult or highly improbable. Turning hydrocarbons into protoplasm might be a semi-miracle, but life itself could be as common as fast food. An artist’s concept of the alien Kepler-452b in orbit around its star Kepler-452, which is located 1,400 light-years from Earth. NASA has billed the potentially habitable planet as Earth’s bigger, older cousin. Scientists with the SETI (Search for Extraterrestrial Intelligence) Institute have already begun targeting Earth’s “older cousin,” Kepler 452b, the first near-Earth-size world found in the habitable zone of a sun-like star. NASA announced the discovery of Kepler-452b last week, billing the planet as the closest thing yet to an Earth 2.0 beyond Earth’s solar system. 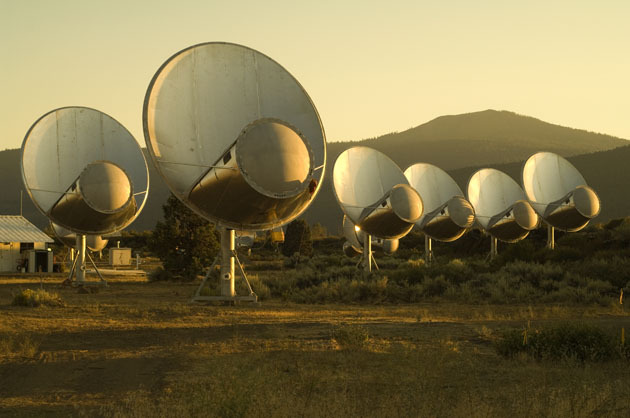 Researchers have used the Allen Telescope Array [ATA], a collection of 42 radio antennas in northern California, to study the planet for radio signals that could indicate the presence of intelligent extraterrestrial life. So far, the antennas haven’t tuned into any broadcasts. “That’s no reason to get discouraged,” Seth Shostak, senior astronomer with the SETI Institute, which is based in Mountain View, California, said during a July 26 webcast by the Slooh Community Observatory. “Bacteria, trilobites, dinosaurs—they were here but they weren’t building radio transmitters,” he said. Kepler-452 is a sunlike star, located 1,400 light-years from Earth, in the constellation Cygnus. The star’s newly discovered planet, Kepler-452b, has a radius approximately 1.6 times larger than Earth’s. The mass of the planet and its density, which would indicate its composition, have been a bit more challenging to pin down. Instead, the team relied on statistics to conclude that the planet has a “better than even chance” of having a composition similar to Earth. “The odds slightly favor this planet being rocky,” Jenkins said. Based on its size, orbit and star, Kepler-452b is the closest analogue to Earth yet discovered, its discoverers and NASA officials have said. Kepler-452b orbits its star once every 385 days, about three weeks longer than Earth takes to travel around the sun. This orbit places the planet squarely in what scientists call the “habitable zone,” the region around a star where liquid water could exist at a planet’s surface. Water is thought to be a key requirement for life to evolve, so Kepler-452b is one of the best potentially habitable worlds found to date. SETI Institute researchers are using the Allen Telescope Array, a collection of 6-meter (20 feet) telescopes in the Cascade Mountains of California, to observe Kepler-452b. So far, the array has observed the exoplanet on over 2 billion frequency bands, with no result. The telescopes will continue to observe over a total of 9 billion channels, searching for signals of alien intelligence. 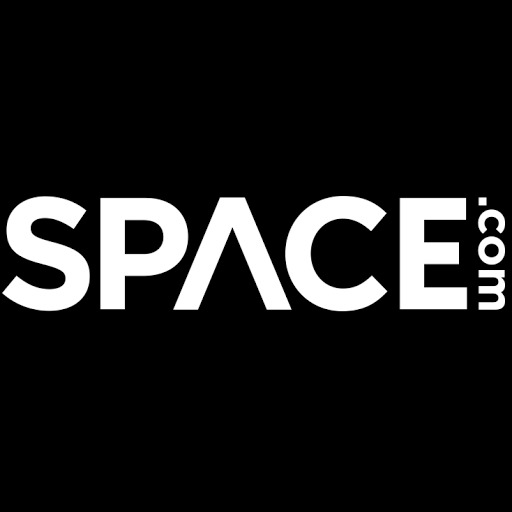 “There are three ways to find life in space,” Shostak said. The first is to “go there and look”, as humans are doing on Mars and the moons of the solar system, he said. For planets like Kepler-452b, which lie so far from the solar system, such a trip would be a challenge with today’s technology. The second is to “build big telescopes and analyze the light bouncing off of a planet,” Shostak said. NASA’s Hubble Space Telescope has already begun to probe the atmospheres of distant planets. 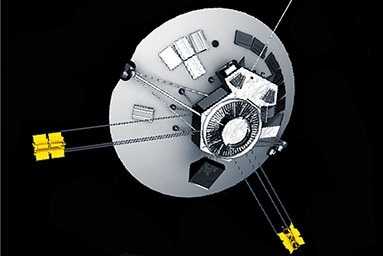 However, Jenkins said, the host star is too dim to allow for this sort of examination with either Hubble or its successor, the James Webb Space Telescope. The third way to find life in space is to search for signals that could indicate intelligence. “That’s what SETI does,” Shostak said. Both Shostak and Jenkins emphasized that what makes Kepler-452b truly important is what it indicates for the wide population of planets beyond the solar system. Before this planet’s discovery, no sun-like stars had been found to host rocky worlds in their habitable zones, making Earth fairly unique in the known galaxy. Although statistics suggested many such planets orbited other stars, no such worlds had been observed with modern instruments. Jenkins noted that the existence of Kepler-452b suggests similar finds will be made in the near future. “We have a really good opportunity in the future to find a similar-size planet in a similar-size orbit about a similar star far closer to us,” he said. Unlike the distant exoplanet, a closer exoplanet could have its atmosphere probed for potential signatures of life. “What you really want to know is what [fraction] of planets could be habitable,” Shostak said. He added that Kepler-452b suggests that fraction is perhaps one in five, or even one in three. “There could be tens of billions of such worlds in the galaxy,” Shostak said. Highly advanced aliens seem MIA, according to a recent study by astronomers at Penn State University. These researchers checked out a huge gob of cosmic real estate — roughly 100,000 galaxies — and failed to find clear evidence for any super-sized alien empires. At first blush, this is an astounding result, given that the universe is more than 13 billion years old. Surely that’s enough time for at least a few ambitious alien species to establish the type of galactic-wide imperium so beloved by sci-fi fans. Could it be that no one is out there? Are we now free to declare ourselves the acme of brain power in this part of the cosmos, and certify that everything out to 50 million light-years is Klingon-free? That may be a bit overmuch. Let’s consider what the Penn State folks really did. In a truly clever piece of work, they used NASA’s WISE (Wide-Field Infrared Survey Explorer) space telescope to measure the infrared light coming from all those galaxies. Infrared is produced by anything warm — by heat. The second law of thermodynamics mandates that heat is the final product of just about any type of engineered activity. Your auto shoots warm gases out the tailpipe, the local utility plant dumps waste heat in a pond, your TV gets warm… Waste heat is the elephant graveyard of all processes using energy, which is to say, all processes. Even writing a byte of data onto your hard drive produces some heat. So does erasing it. Now where there’s heat, there’s light (at least of the infrared variety), so the Penn State astronomers were hunting for galaxies that generated far more than the usual amounts of infrared. This could be a tipoff for what’s called a Type III civilization — the black belt of all societies — one that’s corralled the energy resources of an entire galaxy to power the ultra-advanced lifestyles of its residents. All that activity would generate prodigious amounts of waste heat, and that’s what the astronomers sought. Alas, their hunt failed to discover any interesting cases in which the total amount of heat energy was comparable to the total light energy radiated by all the stars in a galaxy. Bummer. But hang on. What does that really say? Allow me to vex you with some numbers. First, consider what the astronomers could have detected. If you add up all the star shine of a typical galaxy, it’s roughly 10 billion times more than is belched out by our Sun, or 4 trillion trillion trillion watts. So the Penn State survey was looking for galaxies producing roughly that amount of energy (or more) in waste heat. Possibly that number is beyond your everyday experience. But consider what it implies. We now know that a galaxy similar to our own could contain up to 100 billion habitable planets. Even if every one of these worlds is gilded with an advanced civilization, they would each have to be burning up a trillion times as much energy as all of Homo sapiens combined for that galaxy to register in the Penn State survey. That’s right, a trillion times as many kilowatts as all of humanity’s lighting, heating, transport, warfare and other entertainments — per planet. That’s asking a lot, and obviously these alien super civilizations would have to be much different than our own. Maybe their planets each house a trillion times as many people as Earth, or, at the other extreme, perhaps they have lifestyles that are a trillion times more profligate than ours. Call me timid, but neither seems very reasonable. The real problem here (if you consider there’s a problem) is that our concept of super civilizations assumes that they have the same mindset that we do; they want what we want. We suppose there’s a law of the universe insisting that advanced societies are always on a colonization binge, taking control of as much of a galaxy as they can — similar to the Galactic Federation or the Imperium of Man. Bigger is better. But while that view of upscale aliens comports with Darth Vader’s game plan, is that what sophisticated societies really do? There are serious problems with maintaining an empire spanning 100,000 light-years, not least of which is the finite speed of rockets and radio. Furthermore, we also tend to assume that big-dog extraterrestrials will relentlessly increase their energy use per capita — a number that has long been a proxy for the standard of living in our own society. But maybe what really happens is that technology becomes very efficient, and energy use ceases to steadily climb. In other words, the view that being highly advanced implies having more stuff gulping more energy might be an anthropocentric aberration. And by the way, in case the numbers bandied about here have numbed your neocortex, let’s clearly state their implication: the Penn State study has ruled out the existence of a certain type of society. But it hasn’t limited the possibilities for myriad other kinds of extraterrestrial civilizations. Those 100,000 galaxies could be positively stuffed with intelligent beings — be they biological or artificial — who happily exist with energy budgets that aren’t staggeringly extreme. So it’s still plausible that there’s a lot of cosmic company out there. No, the new observations don’t jibe with what’s portrayed in 21st century space opera. But what our species finds desirable today — 200,000 years after Homo sapiens 1.0 — will undoubtedly seem silly and quaint if we ever reach the point of colonizing the galaxy. Star Wars represents today’s view of the future, not necessarily that of our descendants or of other species. I recommend maintaining some perspective: The other inhabitants of the universe are alien — which is to say, they’re not like us.